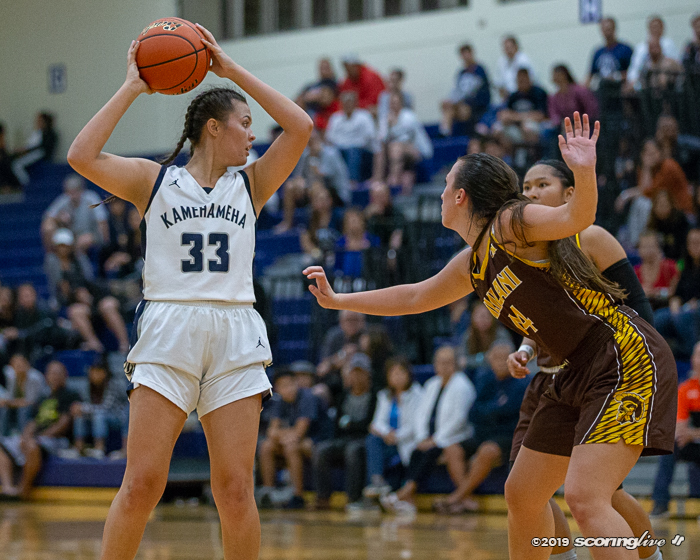 KAPALAMA HEIGHTS — No. 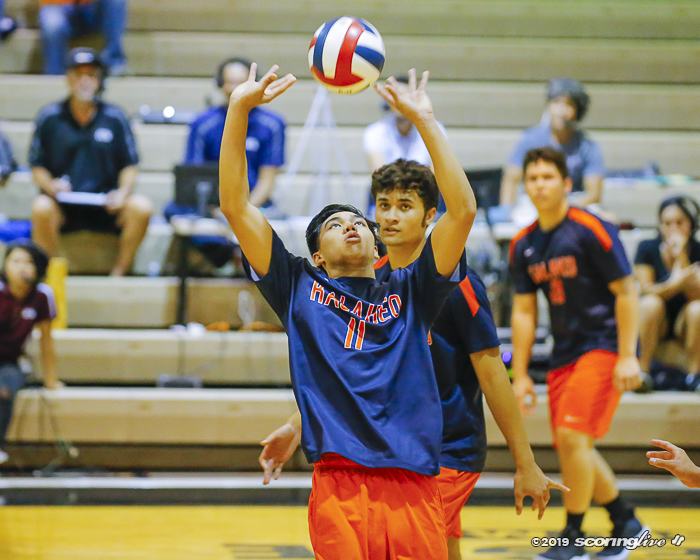 2 Kamehameha beat No. 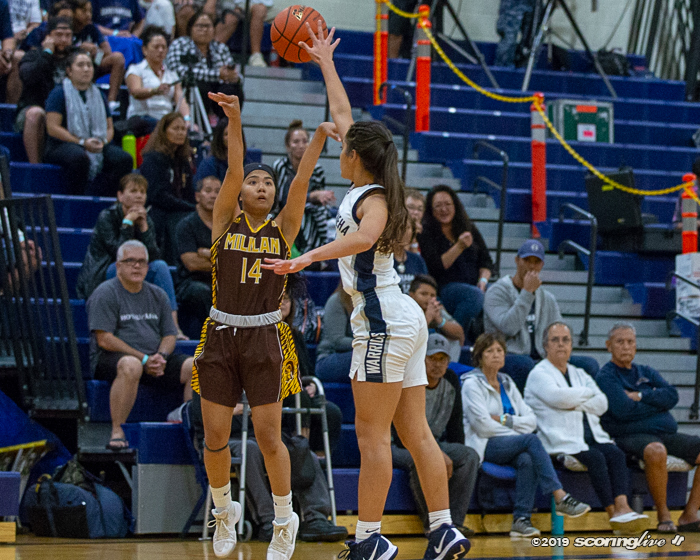 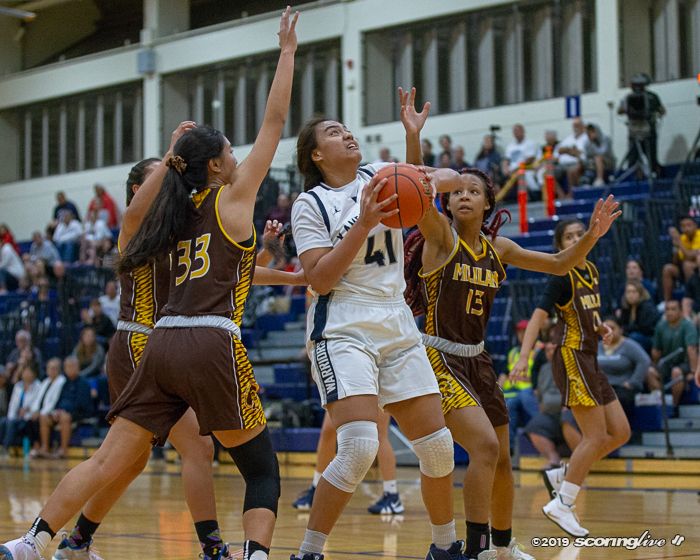 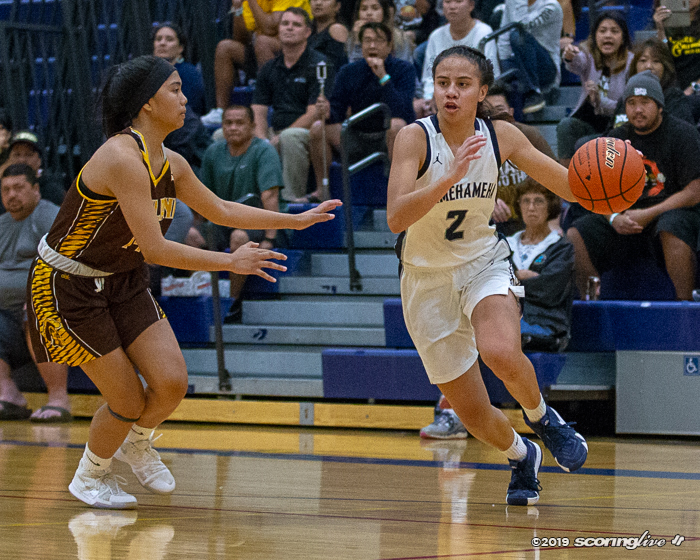 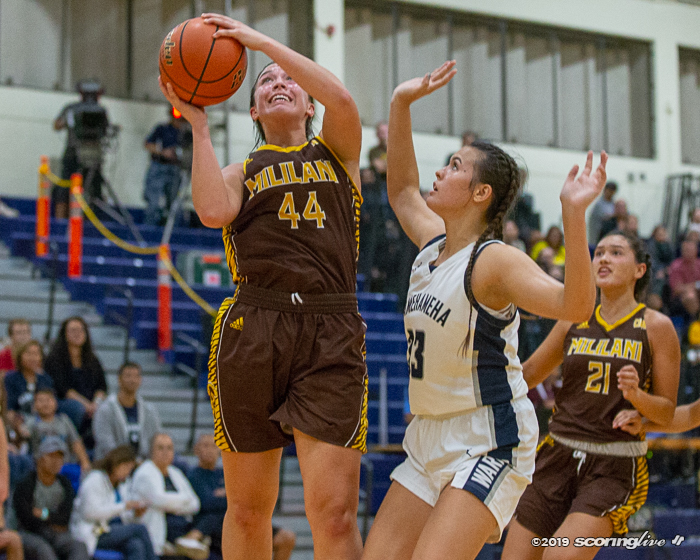 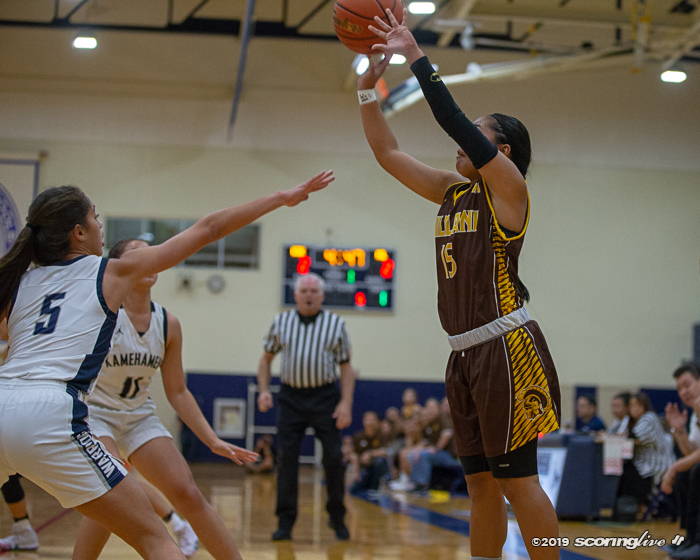 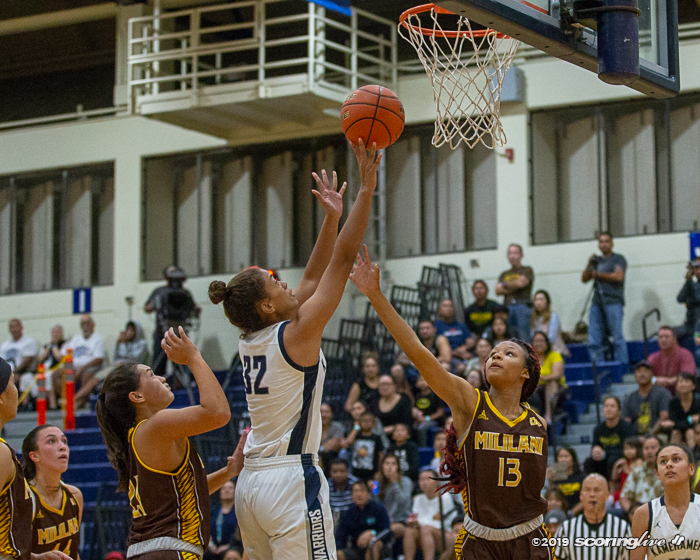 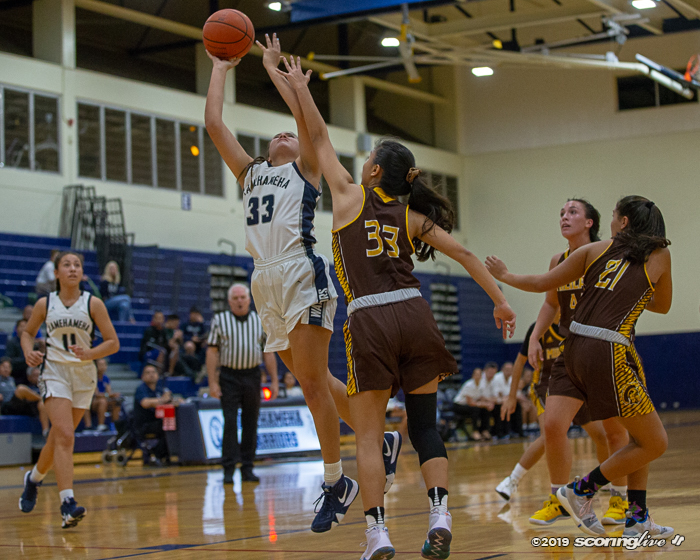 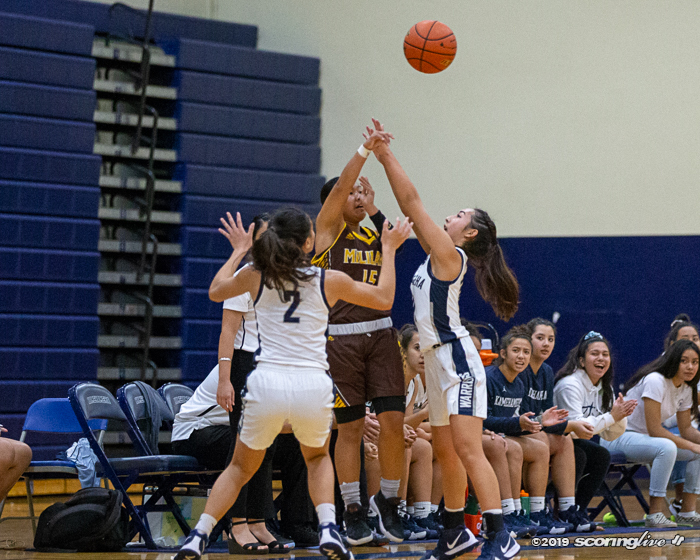 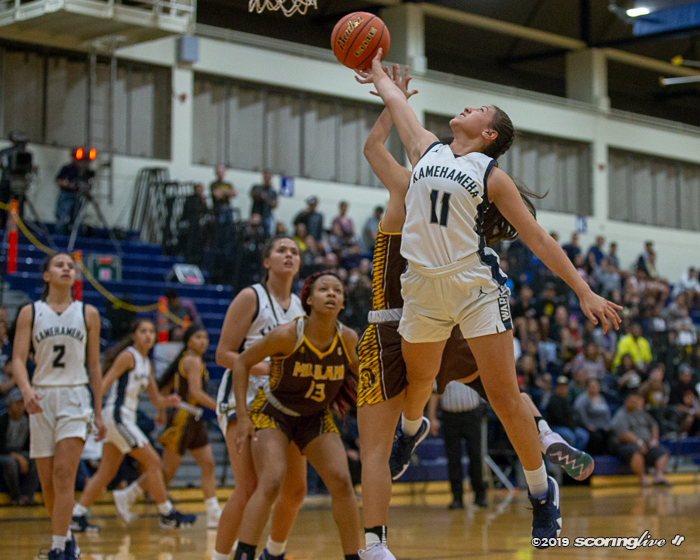 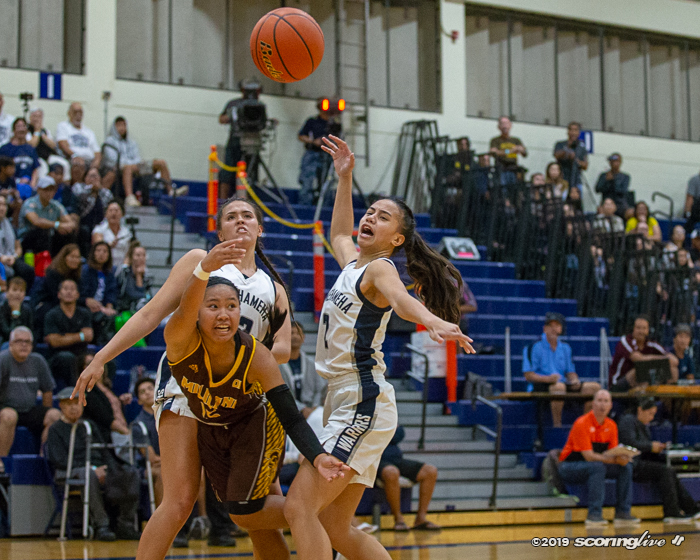 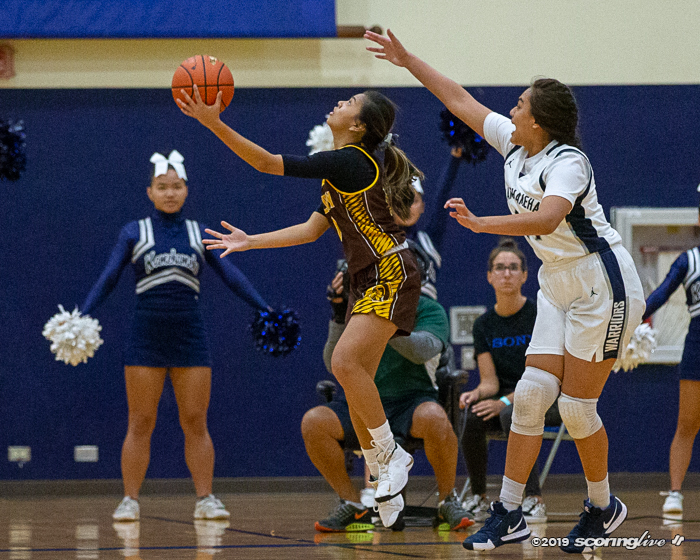 10 Mililani handily, 41-17, at Kekuhaupio Gymnasium Monday to open the Snapple/HHSAA Division I Girls Basketball State Championships. 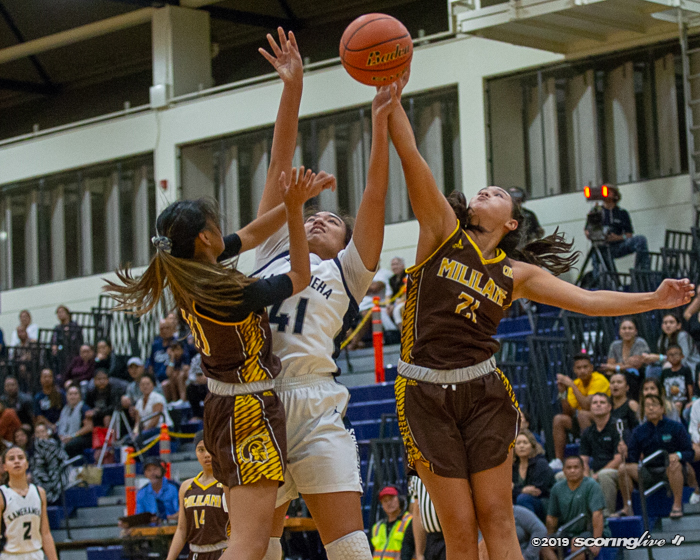 The Warriors advance to face third-seed and No. 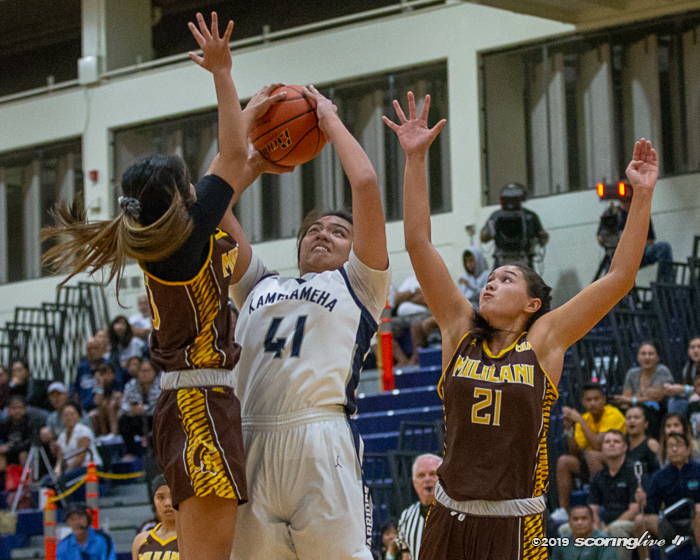 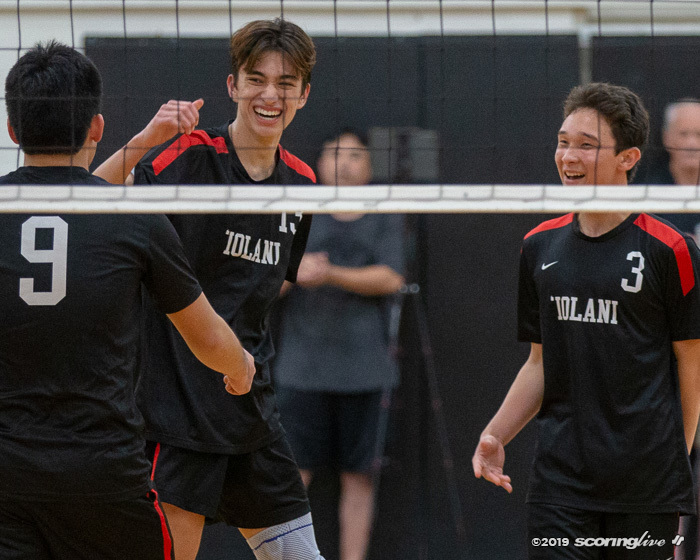 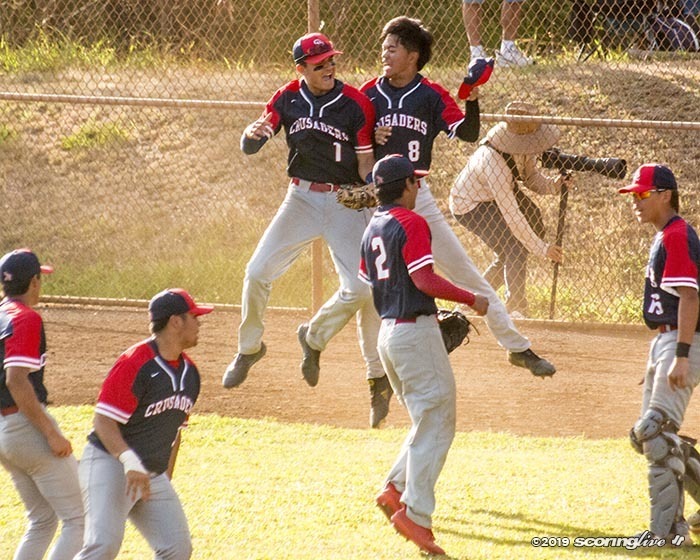 4 Lahainaluna on Thursday at McKinley following the Kalani/Waiakea game, which starts at 5 p.m. 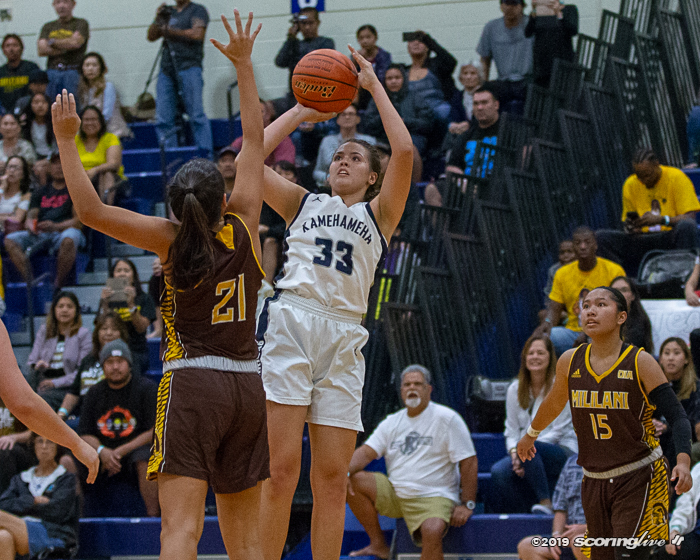 The Lunas beat the Warriors back in the preseason, 46-39, almost three months ago. 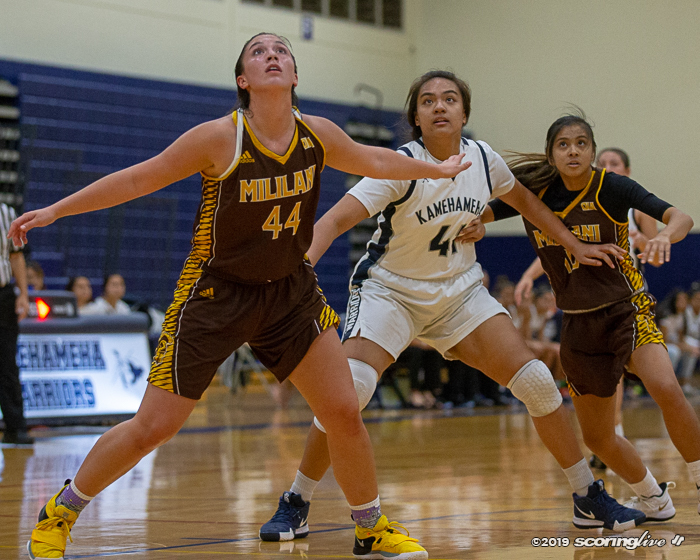 Kalina Obrey led all scorers with 16 points, grabbed nine rebounds and dished out four assists. 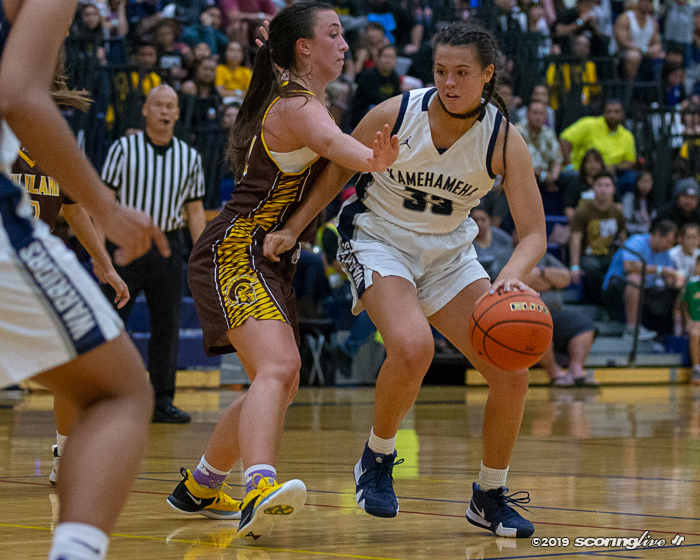 Camille Feary added 11 points and Malie Marfil had a game-high 13 rebounds. 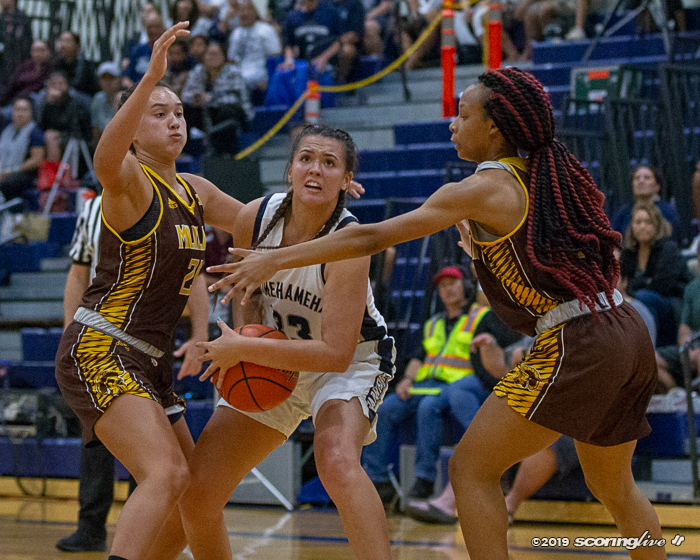 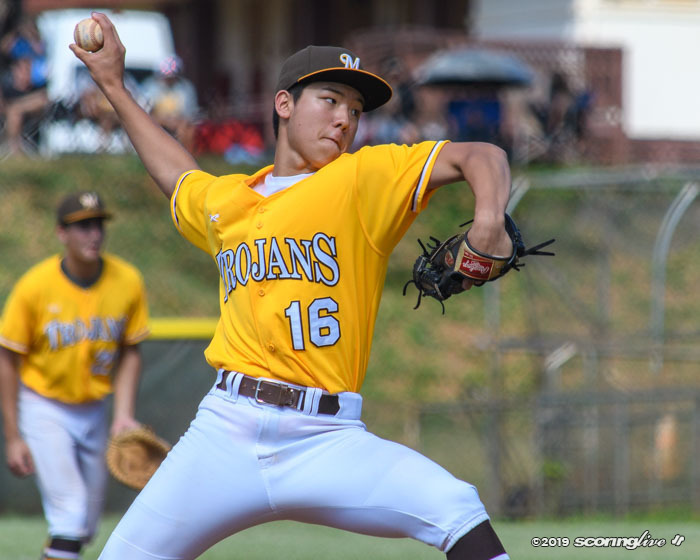 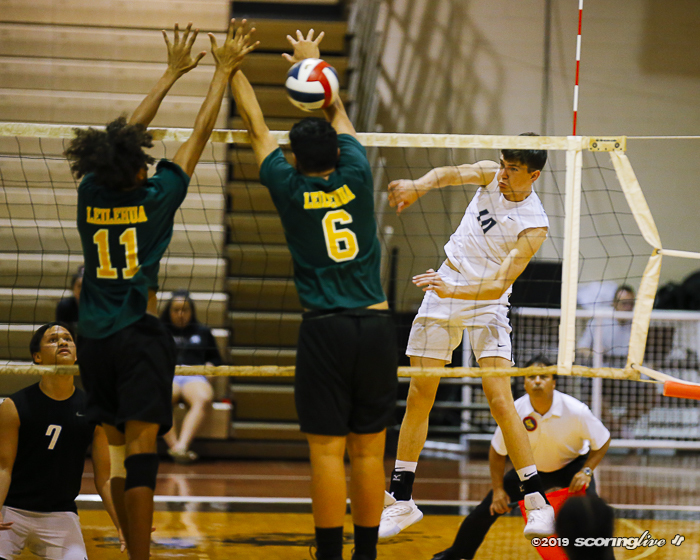 Mililani led by as much as four and led after the first quarter, 8-6, but Kamehameha outscored the visitors the rest of the way. 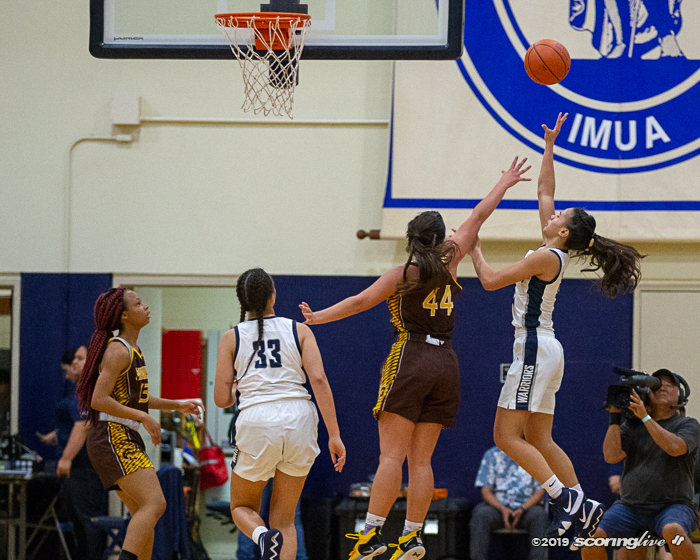 The Warriors opened the second quarter on a 9-0 run aided by the Trojans' cold shooting. 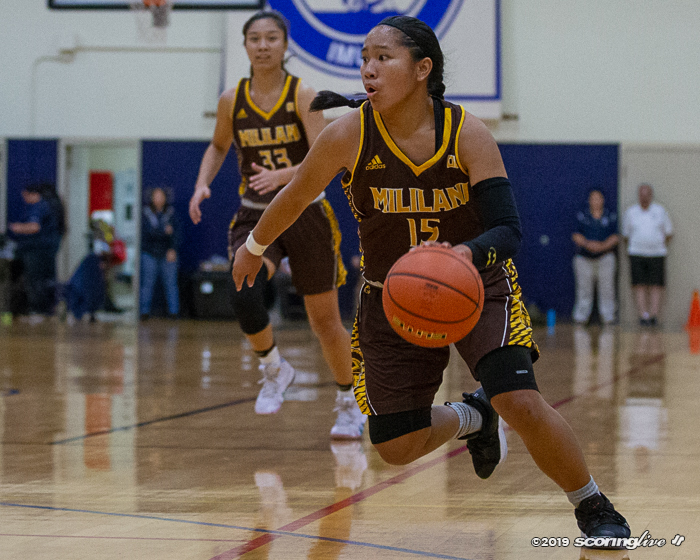 Mililani shot 0 for 8 from the field and their only quarter point came off of Dahlis Sablay's free throw with 1:14 to go before halftime. 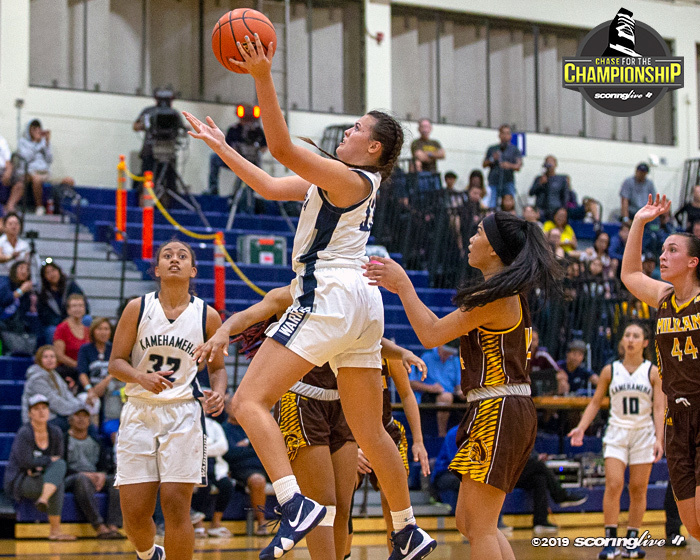 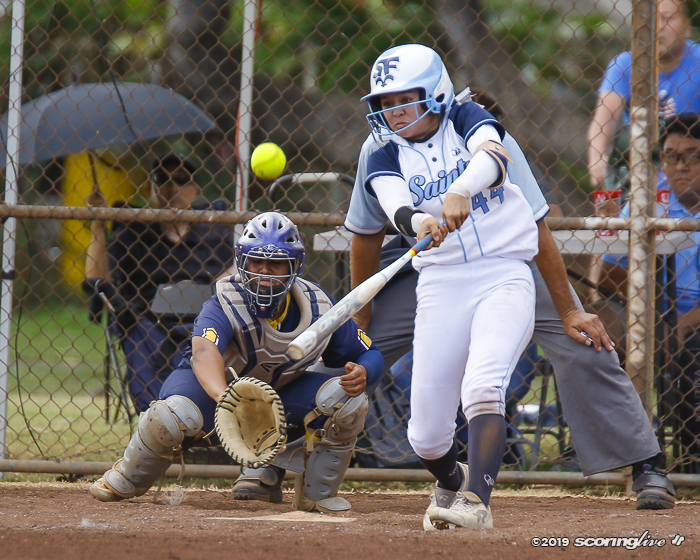 Kamehameha outscored Mililani 25 to 8 in the second half. 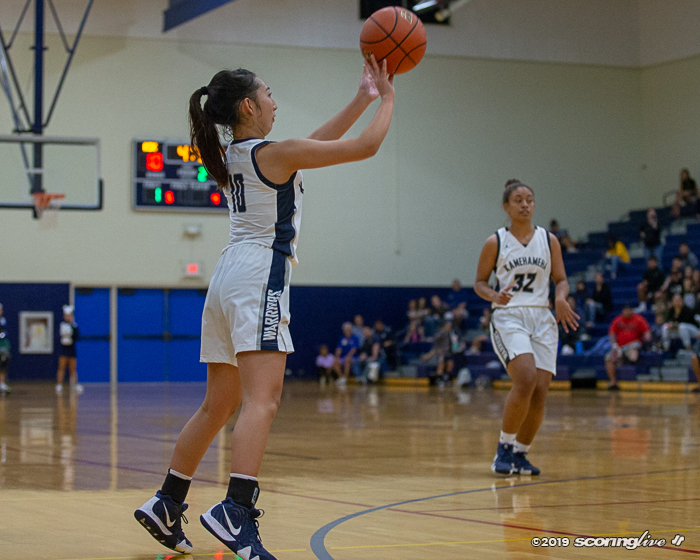 Obrey scored 10 of the Warriors' 15 third-quarter points and was a perfect 6 for 6 from the free-throw line. 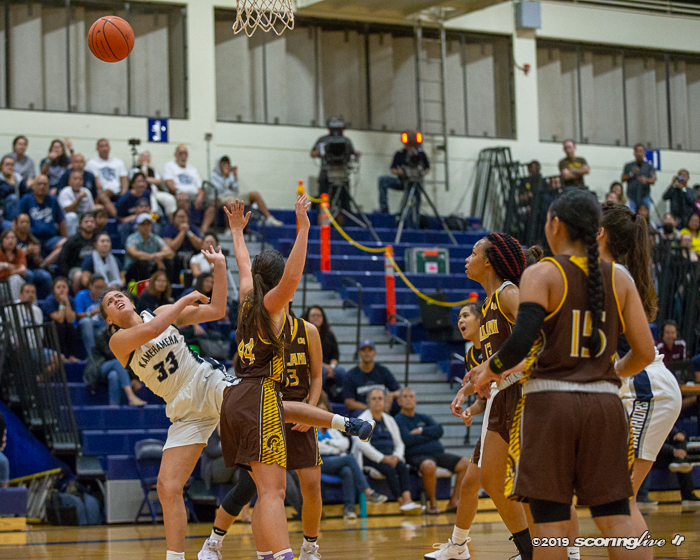 Feary scored six of her 11 in the fourth quarter, four points came from the free-throw line as the team shot 17 for 22 (77 percent) overall. 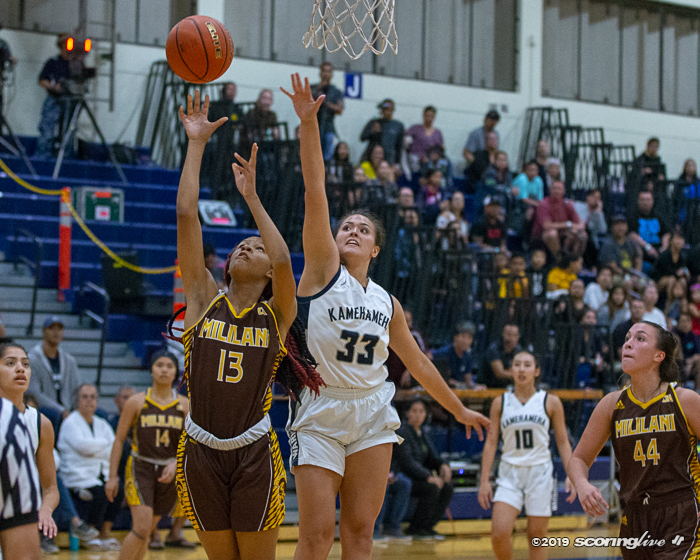 Kalena Gibson (9.5 ppg) and Kianna Ponce (7.1 ppg) each scored four points in the season-ending loss for the Trojans.